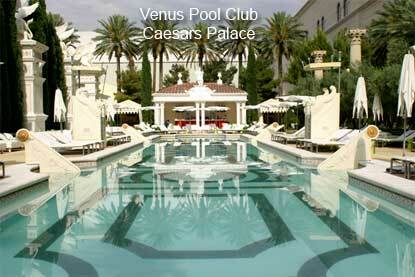 Venus Pool Club at Caesars Palace Las Vegas opens for sun bathing April 22, 2009. The 2009 swimming pool season Caesars Palace hotel provides a hip and cool paradise at poolside for adult sunbathers ages 18 and up. When in Rome do as the Romans. What will you find at the Venus Pool Club? The Romanesque elegance of Caesars Palace is surrounded lush greenery. While basking in the sun you can enjoy the serenity of posh cabanas, with air-conditioning, chaise lounges and a bar with plasma TVs while listening to a poolside DJ. Venus Pool Club promises impeccable service and stylish relaxation at the epitome of chic, summertime escape. Las Vegas knows how to party and this will be another fun season under the sun. Las Vegas hotel guests can expect the best in a sun bathing venue. Need a rest from the fast pace of the Las Vegas Strip or incredible nightlife? The swimming pool is calm and an alternative to the fast pace of traditional pool parties in Las Vegas, Nevada. Feeling a little hot in the desert sun? You can enjoy poolside amenities including cooling Evian face spritzers, frozen towels and body massages. The Venus experience is one of a kind. Stay a little longer poolside at Venus Pool Club and have lunch or lite fare from ahi tuna poke to teriyaki chicken satay. Add a delicious and thirst quenching margarita or multiple flavors of fresh fruit mojitos. Hours of operation are Wednesday – Sunday from 10 a.m. to 6 p.m. and can be rented as a private or corporate events venue. Cover charges vary by date. Las Vegas locals ages 21 and over receive FREE admission. 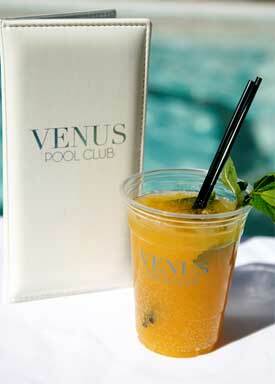 Venus Pool Club at Caesars Palace Las Vegas opens for sun bathing April 22.